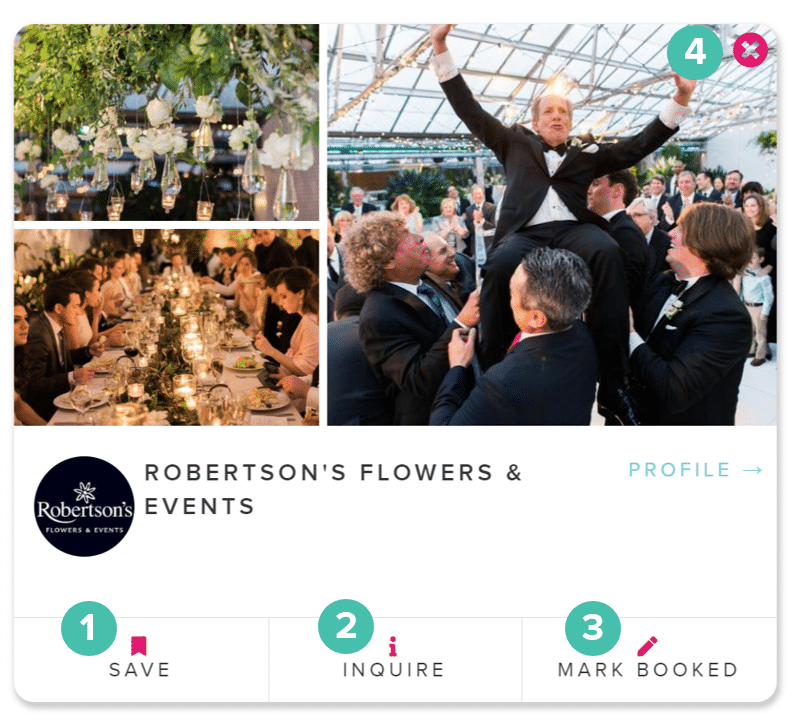 Tell us what you're looking for and we'll give you recommendations on the best wedding pros for you. Instantly. For Free. Tell us a bit about what you're planning and what you need so we can bring you the right pros. We'll prioritize showing you businesses that match your criteria and have connections to your network - whether it's a pro who has experience working with the vendors you've already booked, or a business your friend used. Save the vendors you're most interested in to your short list. 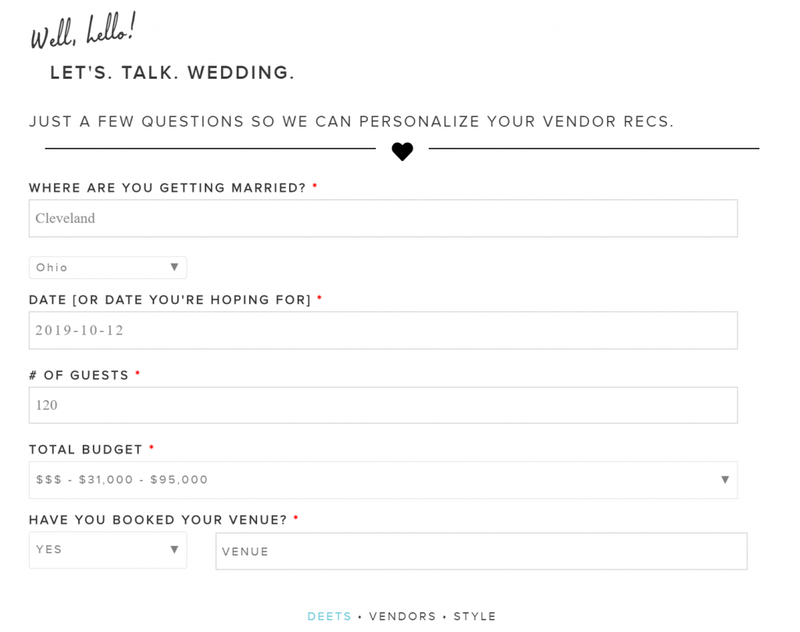 We'll prioritize showing you more vendors like your saved vendors. Inquire with two clicks of a button. 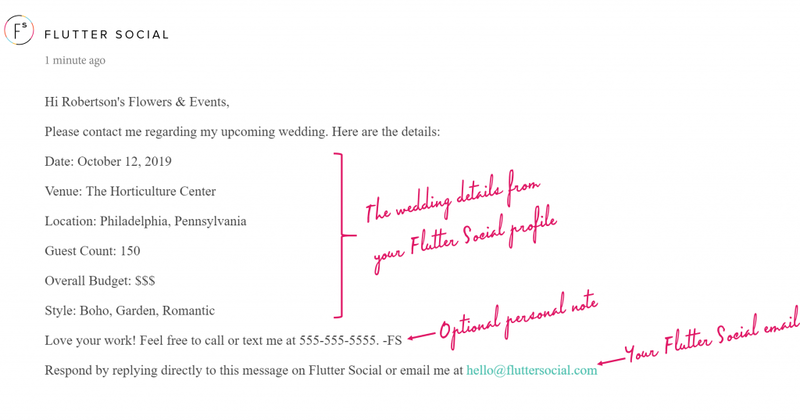 Add a personal message, or simply send our pre-populated note with your wedding details already included. Tell us who you booked and we'll recommend vendors in your booked vendors' networks, prioritizing their Preferred Partners. Remove a recommended vendor from your matches. Let us know why it wasn't a fit to help us refine our matching algorithm. Inquiring with the businesses you love has never been easier. Why fill out more forms? 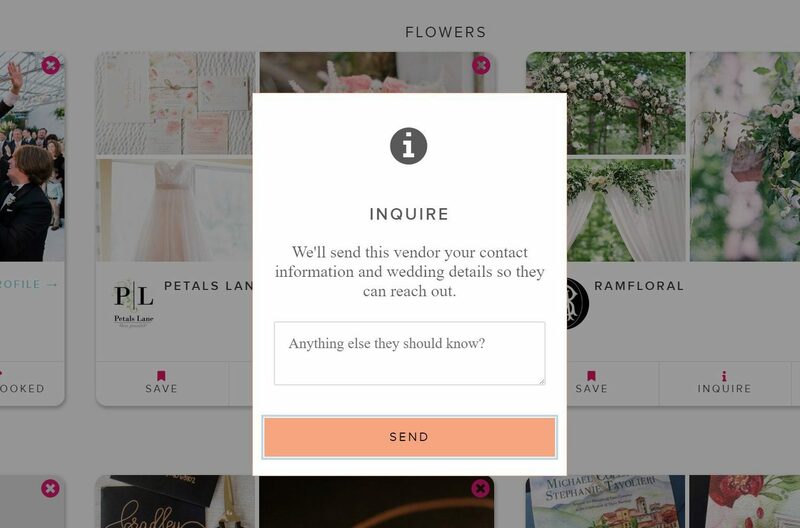 When you inquire with a business, we'll send them the wedding details and contact info from your Flutter Social profile. Add a personal note, or not. Done.